Senior High Retreat (Revive) – relax, disconnect from the busyness of life, and reconnect with God and each other at beautiful Mount Eagle. Happens in the Fall. Youth Week – celebrate the end of Summer and the beginning of the school year with fun-filled events. Invite friends to get acquainted with our Youth Ministry. Happens in August. Mixing service with fun, every other year, our youth take a mission trip over Spring Break to a bigger US city to learn more about the community and how we can be the living light of Christ anywhere we go. ﻿Youth Spring Break Trip – Every other year, we take a mission trip to a bigger US city like St. Louis, New Orleans and Chicago to learn more about the community and how we can be the “living light of Christ” anywhere we go. The other years, we take a fellowship spring break trip! Our ski trips to Winter Park, Colorado have provided much needed bonding time and an opportunity to learn to #bethelight in every sort of activity. Spring Break Mission Trip – from New York to St. Louis to Chicago to Costa Rica, see and work in mission fields around the nation and world. Spring Break. For grades 6-12. Ozark Mission Project – our mission field is as close as our own backyard. Gather with other youth for camp and then divide into family groups and conquer various projects from painting to yard work to wheelchair ramps. Summer. For those who have completed grades 8-12. And More!– we’ve take many small opportunities throughout the year to take care of community in some way. From making appreciation bags for local firefighters/police officers to helping out at the the Food Bank and Recycle Bikes for Kids, we’ve many local missions we love to help where we can! We love to take any opportunity throughout the year to take care of community in some way. 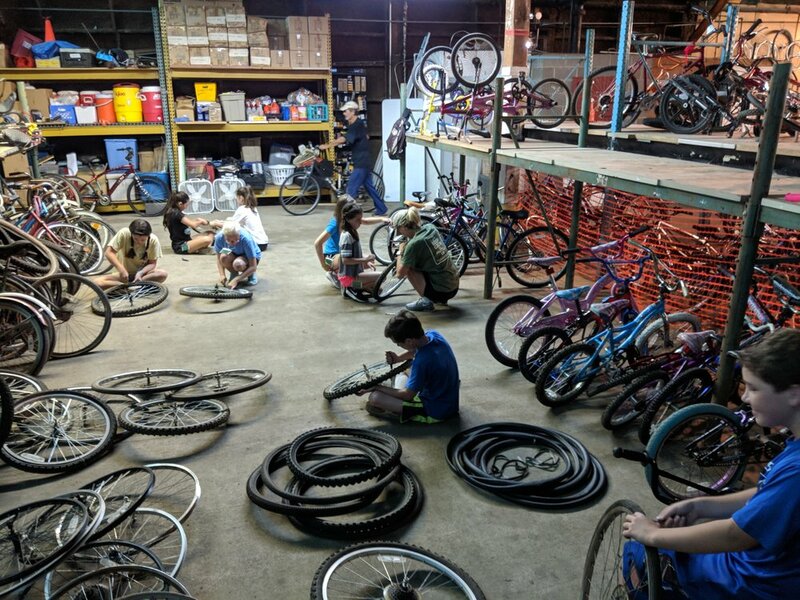 From making appreciation bags for local firefighters/police officers to helping out at the the Food Bank and Recycle Bikes for Kids, we’ve many local missions we love to help where we can! Central District United Methodist Youth is on Facebook. Look for events like days in the park, youth rallies, and youth retreats. Refuge provides a safe place to experience God through worship and introduces connectional relationships with other United Methodist Youth. For grades 6-9 in the fall. Veritas ignites spiritual renewal through passionate worship and community building. It is the largest gathering of United Methodist Youth in the state. For grades 7-12 in late winter. Choir Tour ministers to the local church by leading worship that provides opportunities for connection and experiencing the love of God. For grades 9-12 during summer. Jr. High Assembly: Through small groups and worship, youth have the opportunity to grow in relationships with each other and God. During summer for those who've completed grades 6-8. Sr. High Assembly: Through small groups and worship, youth have the opportunity to grow in relationships with each other and God. During summer for those who've completed grades 9-12.